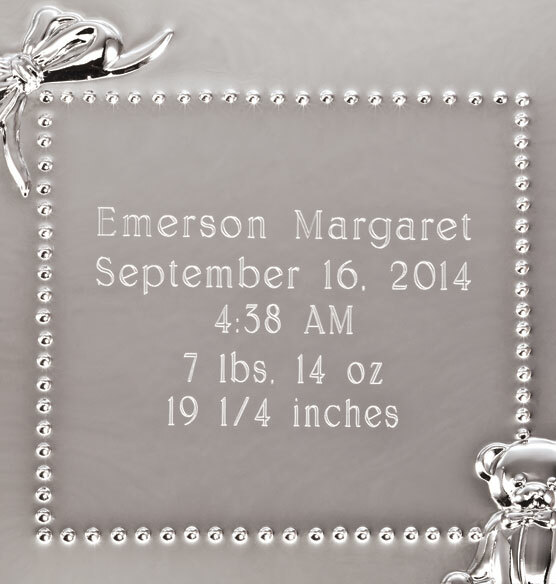 Celebrate baby’s arrival in an elegant silverplate baby announcement frame that will instantly become a nursery favorite. Show off a favorite photo on the left side and personalize the right side with beautiful engraving, included in the price. 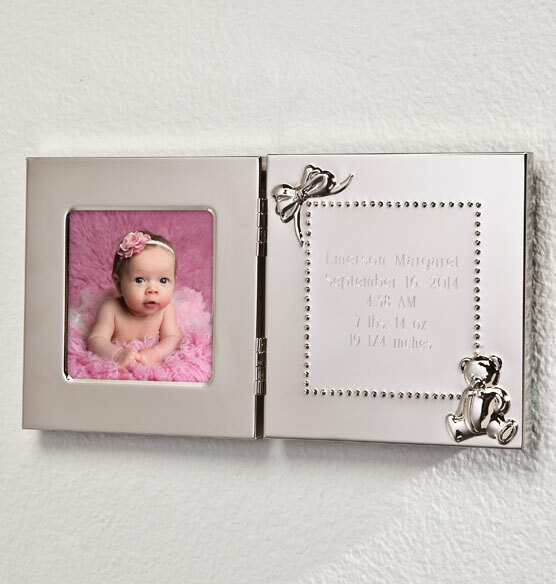 Five lines on this silver picture frame provide flexibility for recording baby’s name and vital statistics, or get creative and add a favorite nursery rhyme or your own message for the wee one. 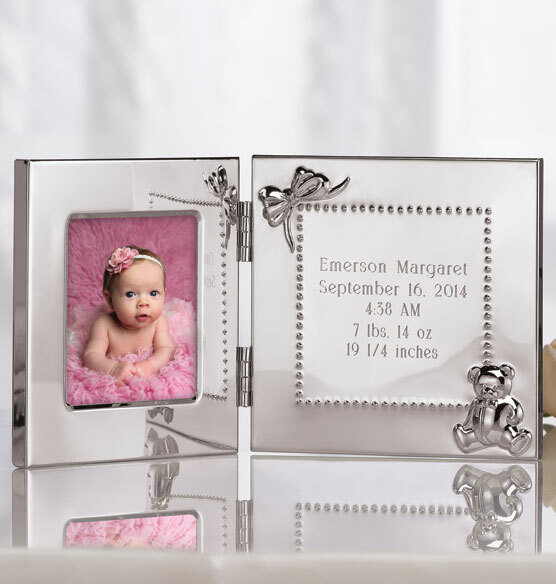 Baby-themed silver embellishments add to the frame’s sweet appeal. The back allows for easy display on a table or wall. Makes a unique, thoughtful gift for new parents.